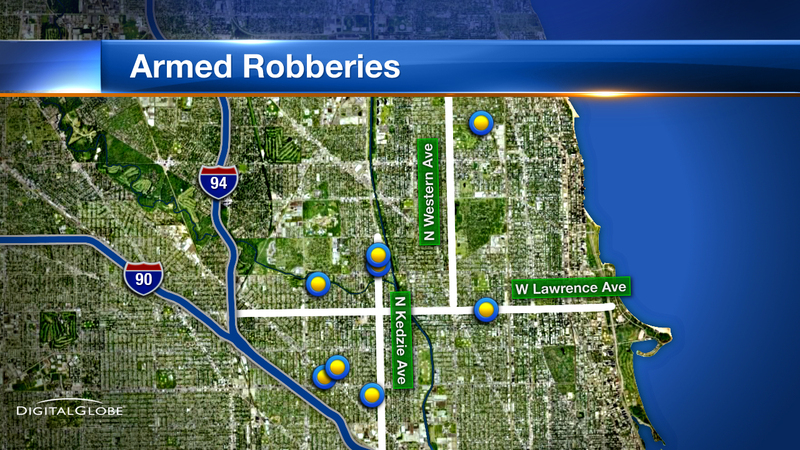 CHICAGO (WLS) -- Chicago police put out an alert after a string of late night and early morning armed robberies. Police have responded to eight hold-ups in the last two days, including two within a block of 5300 North Kedzie Avenue. Police say each robbery happened between 8 p.m. and 8 a.m. Police say multiple thieves exit a vehicle and stick-up the victim with a handgun.